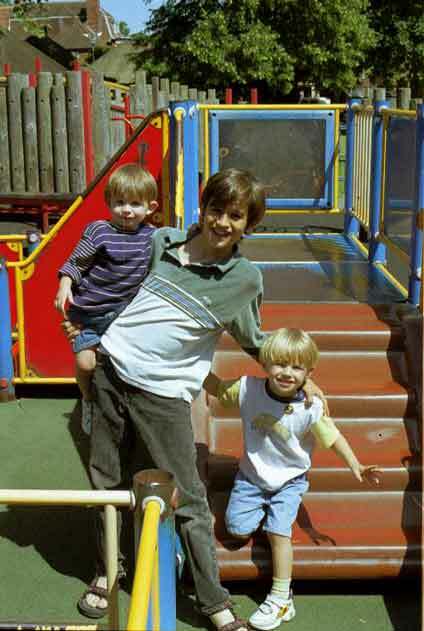 Here's a typical scene, Nick looking after Alex and Charles in a playground, this time in Marlow Park in the summer of 1999. Marlow is his father's home town in the UK. 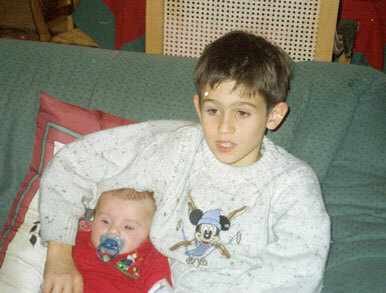 Below is one from Charlie's early days in Le Tahu, April 1996. 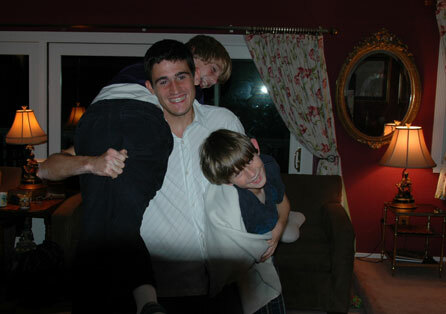 On the right below, here he is with both Charlie and Alex in his capable hands in the living room at home. By the end of 2007, the number of occasions when any of us can carry both of them together is reaching zero. 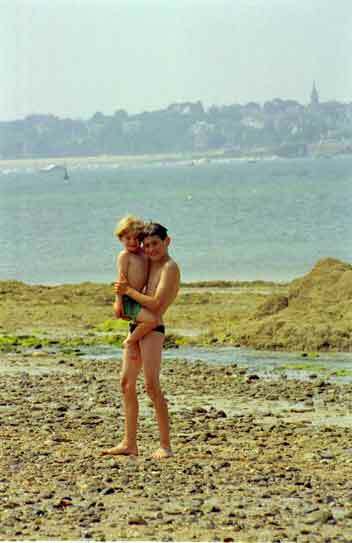 Voilà Nico, de nouveau pendant nos vacances de 1999, cette fois à Saint Mâlo. Il portait Charles afin qu'il ne se fasse pas mal sur les cayaux. Voici un bateau de St Malo! Et voici un chateau de St Malo! This one is a little hard to see, but in the second row of seats from the rear of this mini roller coaster are Nick and Charlie. 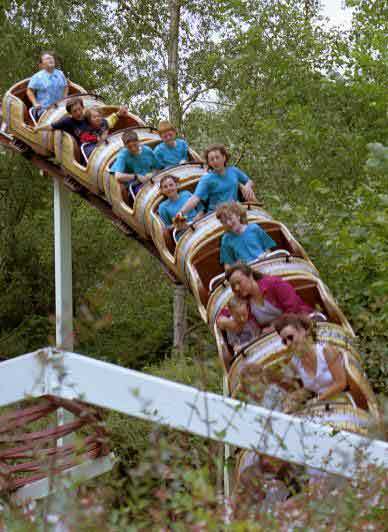 Great America in Santa Clara, October 1999. 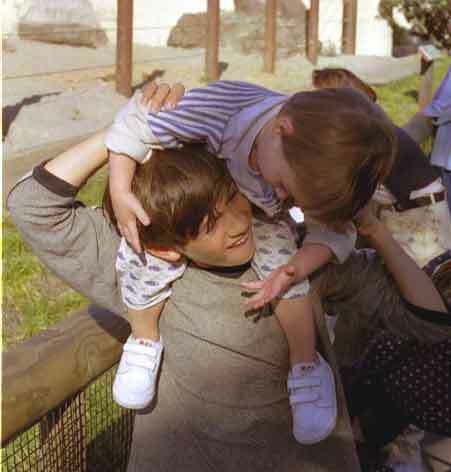 Communicating with Alex on his shoulders at San Francisco Zoo, October 1999. 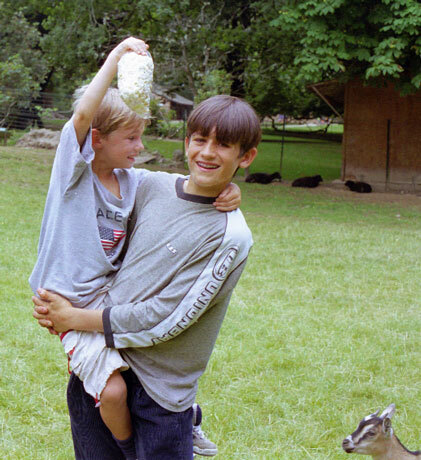 Alex has always liked to see who he's talking to. 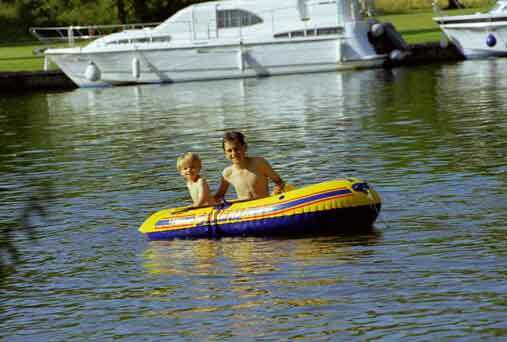 Charlie and Nick, intrepid oarsmen on the Thames near Marlow (Hurley, to be precise) again during the summer of 1999. More fooling around here. 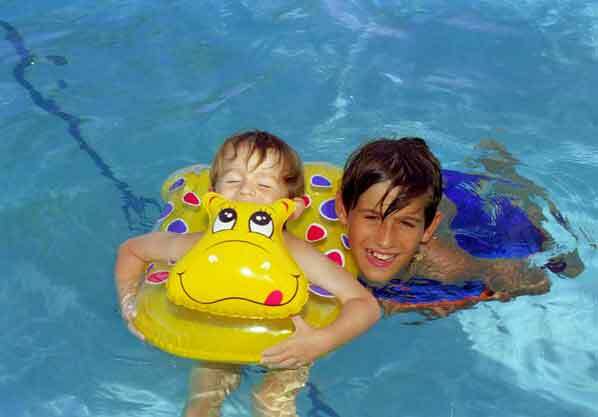 In the pool with Alex at Key Biscayne in August 2000.